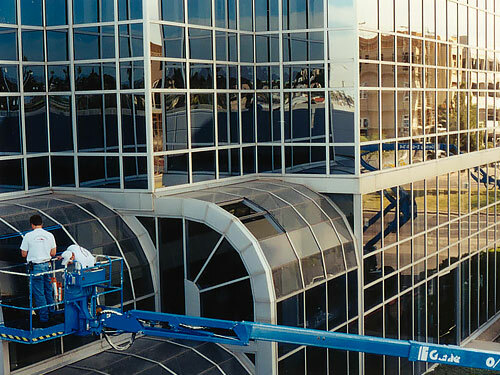 Roadrunner Glass Co. has provided businesses with professional window and glass door replacement services since 1972. We understand the importance of providing a safe and comfortable environment for your employees, customers and visitors. Our professional glass installers are trained to provide excellent service to the highest standards of quality and performance. And when it comes to materials, we select and use the best available, including high performance glass, to meet your project goals. If you require immediate window glass replacement, we offer expert 24/7 emergency window board up and replacement service to ensure that your business is back up and running as quickly as possible. We are able to provide such expedited service and custom glass solutions thanks to our local fabrication shop in Phoenix, which always delivers the finest craftsmanship in town. We pride ourselves in offering precision glass work down to the 1/16 of an inch.